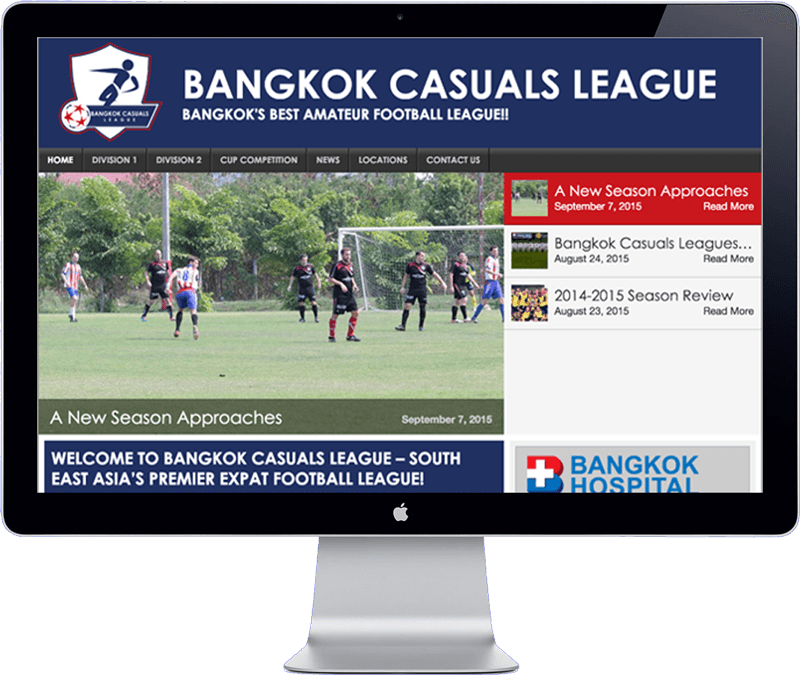 The BCL is the biggest expat football league in Thailand. They manage two divisions and a cup competition, and organise matches in Bangkok and Pattaya. The website is build with WordPress CMS which makes it easy to update and expand the site. It has a responsive design and is optimized for phone and tablet formats. It has also been optimized for search engines (SEO) which makes the site to be found easily through Google. After website development completion the client has been trained to add scores and manage the website by themselves.